NHGA President John Dumais presents the Supermarket of the Year Award to Ed Penta of McKinnon's Market. 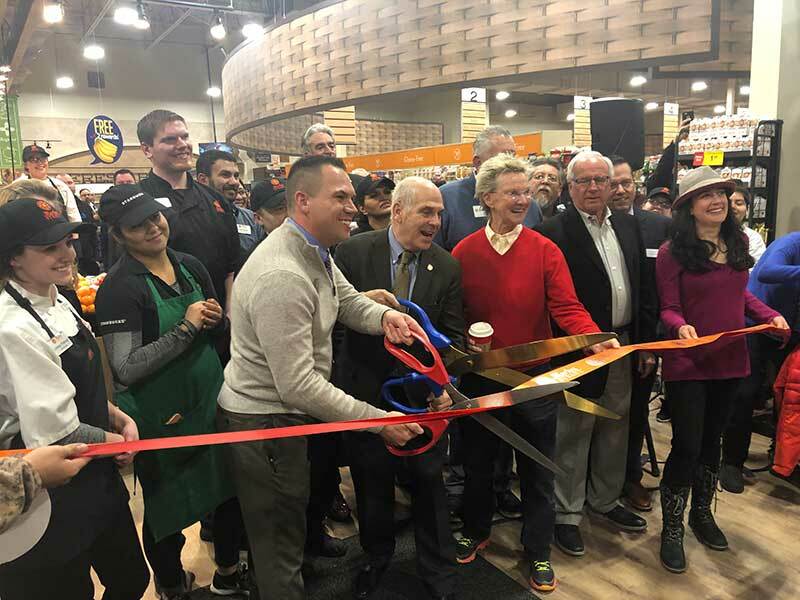 McKinnon’s Market was named Supermarket of the Year and Jeannotte’s Market of Nashua, New Hampshire, earned Grocer of the Year honors from the New Hampshire Grocers Association (NHGA). 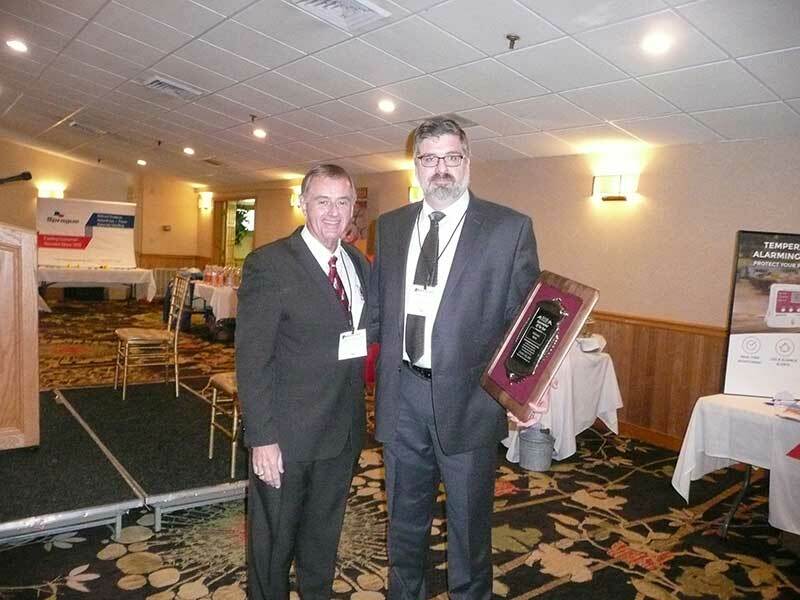 They received their awards at NHGA’s Fall Conference last week. McKinnon’s Market began in 1946 and is celebrating its 70th anniversary this year. The Penta family has operated the company for more than 50 years. It opened its first New Hampshire store, in Salem, in 2007, followed by its Portsmouth store in 2011. It also operates two stores in Massachusetts, in Danvers and Everett. The company was named to the Massachusetts Retailer Hall of Fame by the Retailers Association of Massachusetts in 2004. For July and August, McKinnon’s was the top retailer of Certified Angus Beef in the U.S. for the category of 10 or fewer stores. Glynn Bingham of Jeannotte’s Market accepted his company’s award. Bingham has owned the store for 16 years and has 24 employees. 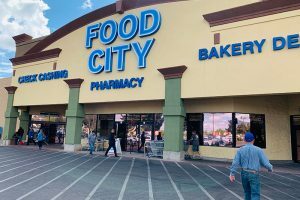 Jeannotte’s Market donates two cases of food—purchased through Associated Grocers of New England—every week to the Corpus Christi Food Pantry in Nashua. Jeannotte’s Market started in 1899. Bingham is the fourth owner in the company’s 117 years in business. Dugan has worked in the snack food industry for nearly 50 years, starting in 1967 with Cain’s Potato Chips.